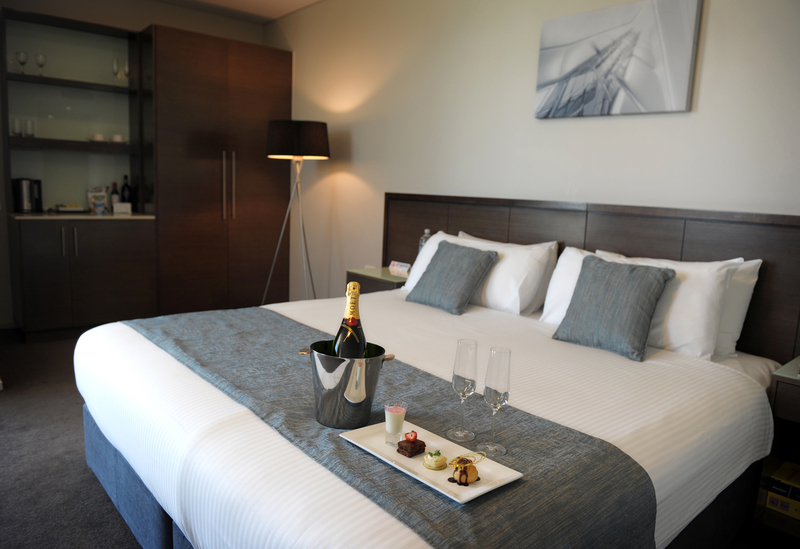 Sferas Park Suites & Convention Centre offers 22 luxurious suites, located on Civic Park in North East Adelaide, just a short parkland walk to Westfield Tea Tree Plaza, and the OBAHN. 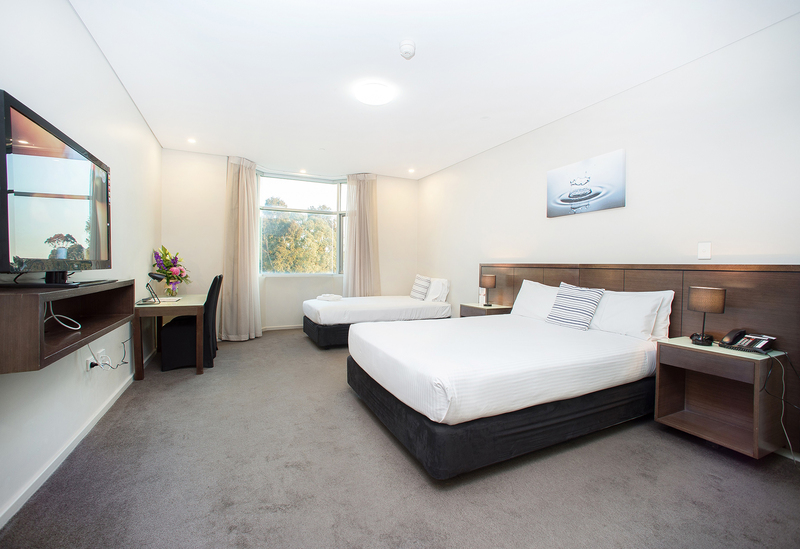 Just 20-25 minutes from Adelaide’s CBD via car, we also have free on site car parking. Dine on site in our new Boca Chica bar and Grill restaurant. Open Tuesday to Friday 4pm to Late (food from 5-9.30pm) and Saturday 12pm to late (food from 12-3 and 5-9.30) Room Service is also available. We also offer Mediterranean flavours in our newly renovated Paradiso Bar. Enjoy food, dessert and cocktails. Open Friday – Saturday 12pm – late and Sunday 12pm – 2:30pm. We have 2 deluxe large corner spa suites, 14 premier spa suites, 3 Queen Spa Suites, 2 premium suites and the loft suite which is our largest room. Click on the button below to view current rates, room availability and book online. Free wifi high speed NBN internet access (5GB limit), iron and ironing board, LCD television, tea and coffee making facilities, air conditioning and heating, FREE carparking onsite. Spacious suite, some with balcony and some with views of Adelaide city and foothills, queen size bed, deluxe features and amenities, luxurious shower, one person spa bath and LCD television. 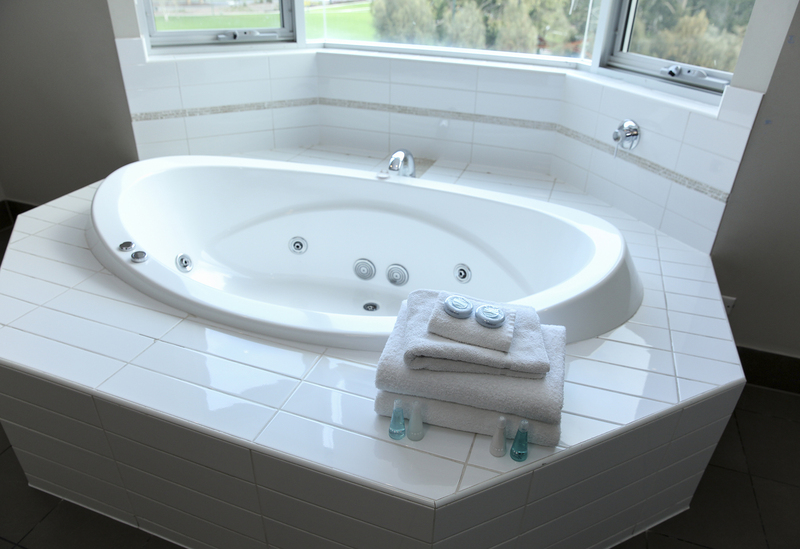 Spacious suite, some with views of Adelaide city and foothills, queen size bed and single bed, deluxe features and amenities, luxurious shower, one person spa bath and LCD television. Premium SuitePremium suite with queen bed, deluxe features and amenities, luxurious shower and LCD television. Our largest suite featuring a king bed and 3 single beds, kitchenette with microwave, dining table, lounge suite, luxurious shower, LCD TV, deluxe features and amenities.